Nothing ever happens in the town of Long Thorpe . . . that is until sixteen-year-old Summer Robinson disappears without a trace. No family or police investigation can track her down. Spending months in the cellar of her kidnapper with several other girls, Summer learns of Colin’s abusive past, and his thoughts of his victims were his family - his perfect, pure flowers. But flowers can’t survive long cut off from the sun, and time is running out. If you like scary, realistic books involving kidnapping and other crime, check out the following book titles. Amy and her cousin Dee were kidnapped six years ago. When Amy finds her way home, she's desperate to protect the ones she loves at any cost. She doesn't know who she is. She doesn't know where she is, or why. All she knows when she comes to in a ransacked cabin is that there are two men arguing over whether or not to kill her. And that she must run. Follow Cady and Ty (her accidental savior turned companion), as they race against the clock to stay alive. Six kindergarteners were taken. Eleven years later, five come back - with no idea of where they've been. No one remembers the sixth victim, Max. Avery, Max's sister, needs to find her brother - dead or alive - and isn't buying this whole memory-loss story. When four young people are taken against their will to become part of a cult, they are worshiped by their followers and become lost in their new reality - but what happens if they rebel against the one holding them captive? Sisters Dara and Nick used to be inseparable, but that was before Dara kissed Parker. That was before the accident that left Dara's face scarred. Now the sisters totally estranged. When Dara vanishes on her birthday, Nick thinks Dara is just playing around. But another girl, Madeline Snow, has vanished, too. Nick becomes increasingly convinced that the two disappearances are linked - and she has to find her sister before it's too late. 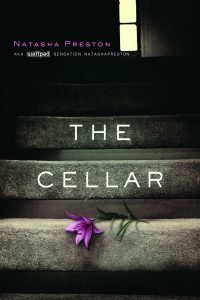 View more suggestions for The Cellar by Natasha Preston.